This track and this event were near perfect. A Hollywood storywriters fairy taleevent where the former champion falls to his friend and the second place guy who we all thought was just out of reach wins and pulls the championship race to 30 points. The venue was great to watch and the fast speed long turn was great when the guys who could tandem found their lane. Other than the wild weather that blew through town, I don’t think anyone has much to complain about the Midwest. Let’s hope for years more to come at this unique road course. MADISON, IL (August 11, 2018) – On a hot, sticky, Midwest Saturday night, Team Falken Driver Matt Field scored a second place podium in Round 6 of the 2018 Black Magic Formula Drift Pro Championship at Gateway Motorsports Park, outside St. Louis. This was the second time Field has earned a runner-up trophy, and places him sixth overall in this season’s Formula D standings. Defending Champion and Falken teammate James Deane continues to lead the championship, with Wiecek in third place. Team Falken has six of its eight drivers in the top 10 of the championship leader board. ST. LOUIS, Missouri (August 13, 2018) – Fredric Aasbo dominated the sixth round of the Formula Drift championship this weekend earning his second victory of the season. 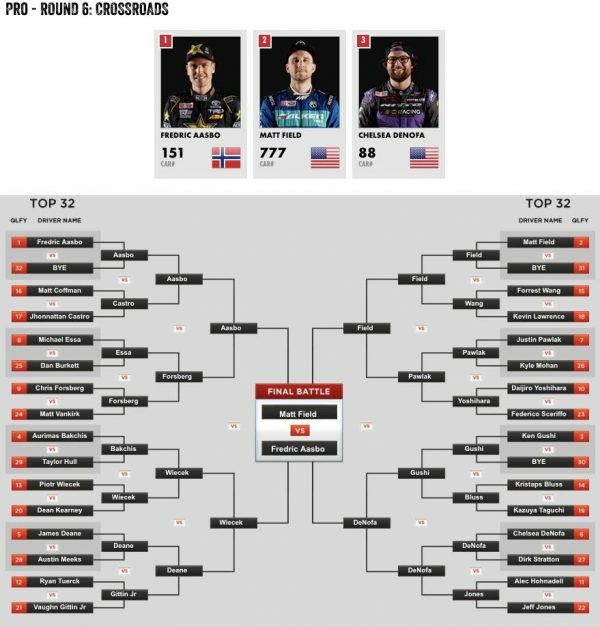 The Rockstar Energy Drink / Nexen Tire Toyota Corolla Hatchback driver earned the maximum possible points as the championship heads into its last two rounds.